GENNOVATE is a global comparative research initiative that addresses the question of how gender norms and agency influence men, women, and youth to adopt innovation in agriculture and natural resource management. This guide discusses social norms surrounding banana production. Understanding these norms coupled with the ability to address them is essential for the development and design of high-quality banana-focused research for development. This resource provides guidance for scientists, researchers, and rural advisory services in wheat-based systems on how to better target women and improve inclusion for everyone. It builds on 12 GENNOVATE case studies conducted across India’s wheat belt. 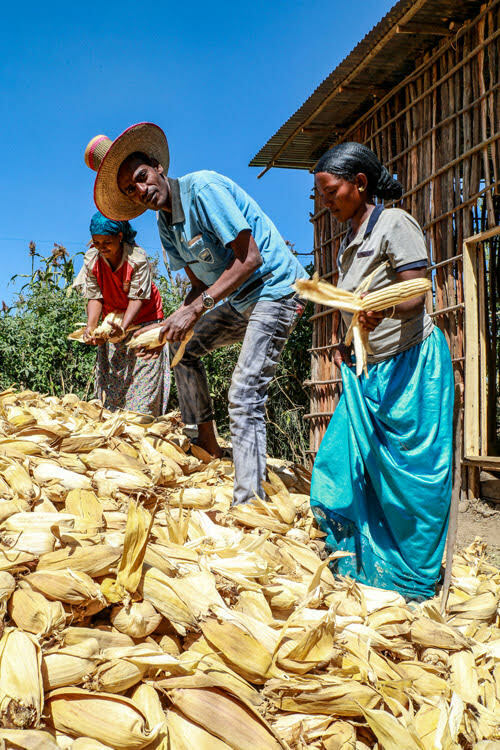 Through case studies, this resource examines the implications of mechanization in RTB crops. 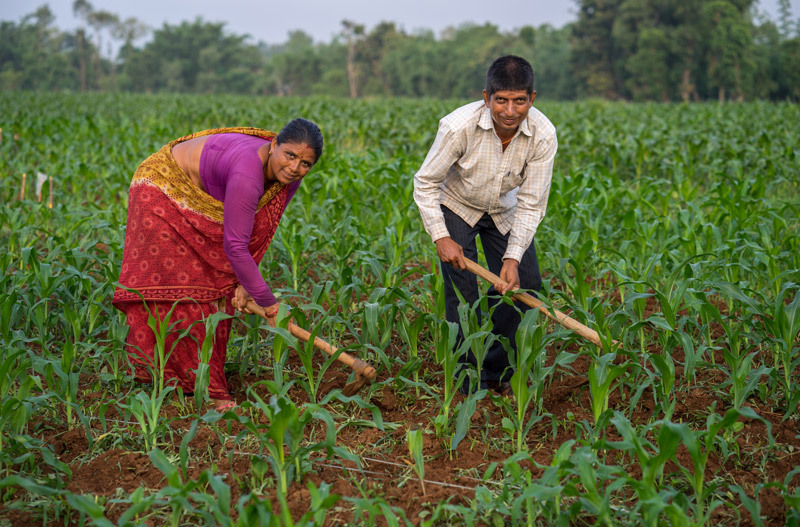 It suggests that to expand the benefits of mechanization, a careful consideration of gendered needs and gender implications is required throughout the project cycle. This report is based on the perspectives of women and men from three rice-growing villages in the Nueva Ecija province of the Philippines. It highlights the importance of accounting for intersectionalities like age, economic class, and gender to understand agricultural innovation. This report examines how innovation processes in locations where the CRPs on Roots, Tubers and Bananas and Humidtropics have conducted R&D activities are shaped by gender. The study informs the design of more gender-equitable research strategies. This report offers a panorama of the social and gender dimensions of local agricultural innovation processes in the context of wheat-based farming systems and livelihoods. The analysis is based on 43 GENNOVATE village case studies from eight countries set in diverse wheat regions of the Global South. 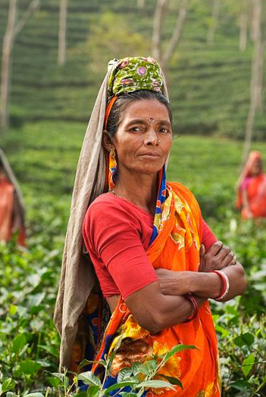 This article shows a shift towards women farmers taking control over decision-making in the Terai plains of Nepal. It offers recommendations for researchers and rural advisory services to bring their work in alignment with the realities of women wheat innovators. This research study investigates how gender norms and relations shape the capacity and motivation of different individuals in small-scale fishing communities to innovate. It compares six fishing communities in Cambodia, the Philippines, and the Solomon Islands. Few studies focus on the social and gender differentiation of capacities to innovate. This paper addresses this gap using a qualitative study in three communities in the Solomon Islands, where rural livelihoods are tightly tied to agriculture and fisheries. "My husband used to decide how to spend the money. After the harvest he was the one to sell the produce and at the end of the day I did not benefit from the income we made. Now, I take my own decisions." The latest issue of the Journal of Gender, Agriculture and Food Security is dedicated to the GENNOVATE initiative. The papers cover a range of topics, including the field methodology, capacity to innovate, gendered aspirations, agency, and community typologies. To mark the International Day for Rural Women, Patti Petesch, along with Lone Badstue and Shelley Feldman, discuss how the positive deviance approach applied in the GENNOVATE global comparative study can add to our understanding of gender equality in rural villages.